Yayasan Khazanah are supporting the Rhodes Scholarship for Malaysia. The Rhodes Scholarships are postgraduate awards supporting exceptional students from around the world to study at the University of Oxford.  The Rhodes is the oldest and perhaps the most prestigious international scholarship programme in the world, which aims to nurture public-spirited leaders for the world's future. Age: Age limits vary between constituencies and are based on country specific circumstances. The standard age limit is 19-25 by 1 October in the year following selection. Education: All applicants must have achieved academic standing sufficiently advanced to assure completion of a bachelor’s degree by the October following election. Academic standing must be sufficiently high to ensure admission to the University of Oxford, which has very competitive entry requirements, and to give confidence that Rhodes Scholars will perform to a high academic standard in Oxford. Individual constituencies may specify a specific academic level to have been attained. a. Applicants should apply online from 1 September at: www.rhodeshouse.ox.ac.uk/malaysia . Applications must be submitted by the closing date specified above. b. The Selection Committee will invite candidates they wish to see to a personal interview on a Friday/Saturday 11/12 November 2016 (to be confirmed) . No candidate will be selected without a personal interview. The final selection is confirmed by the Rhodes Trustees, who rely on selection procedures undertaken by selection committees in each constituency. c. Candidates who do not receive further communication by the above date should assume that their application has not been successful.